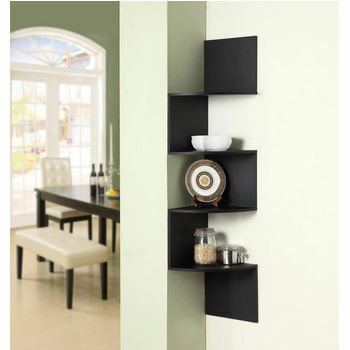 Wall mounted shelves provide storage without taking up precious floor space. 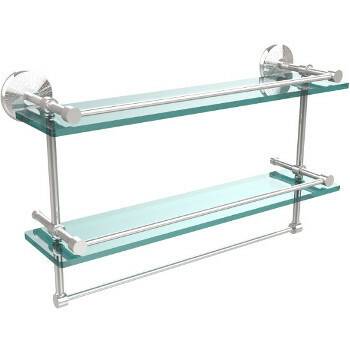 Made of stainless steel, glass and wood, wall-mounted shelves not only store your collectibles and necessities, but also add a design statement. 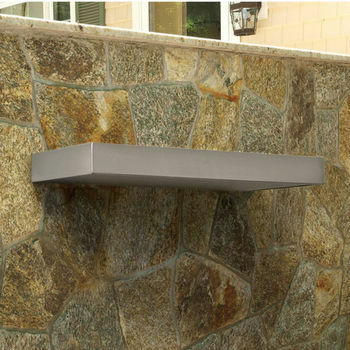 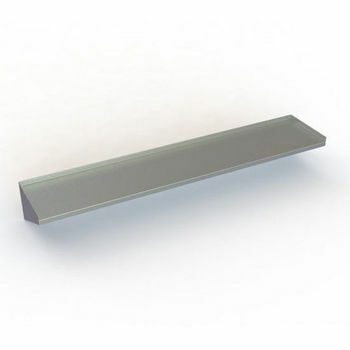 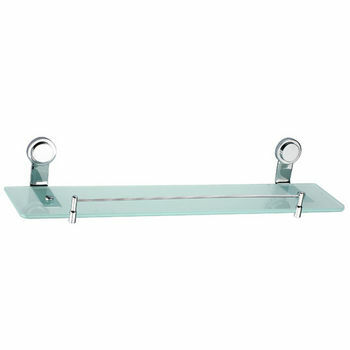 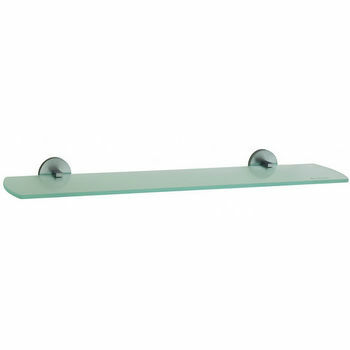 Floating shelves mount on the wall but no brackets are visible, to create a seamless look. 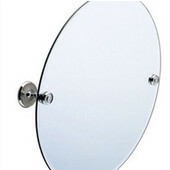 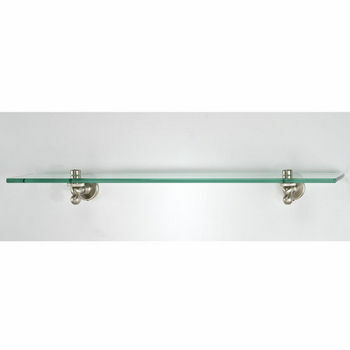 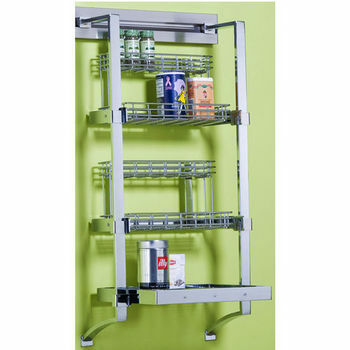 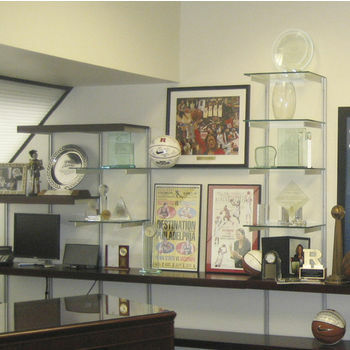 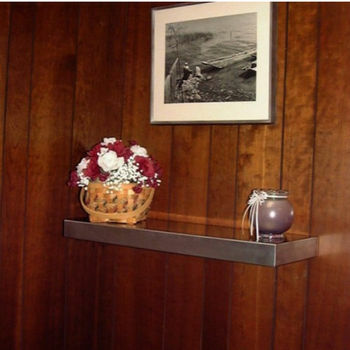 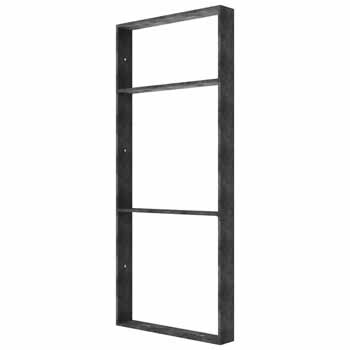 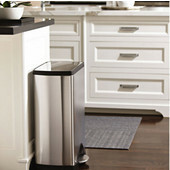 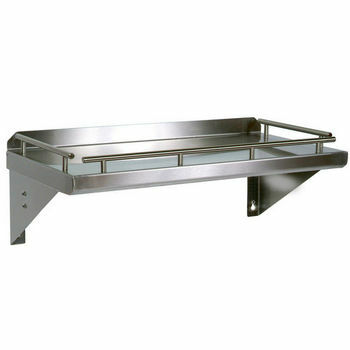 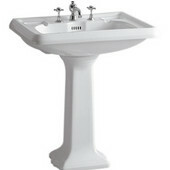 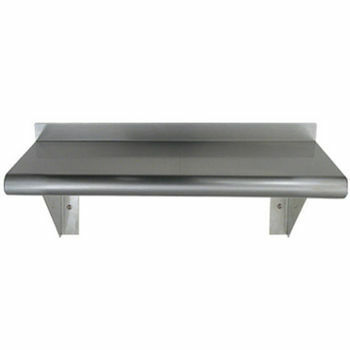 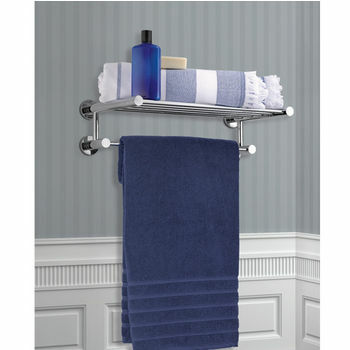 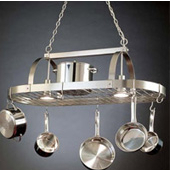 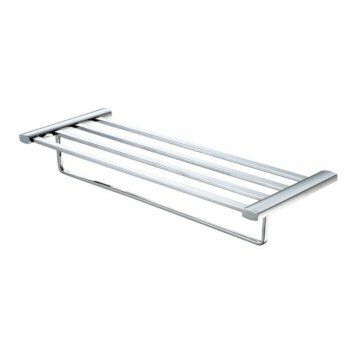 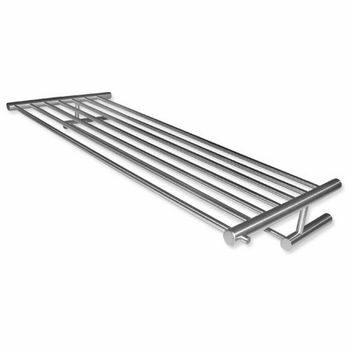 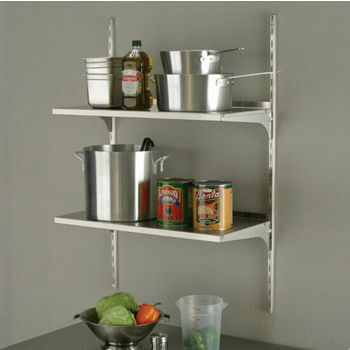 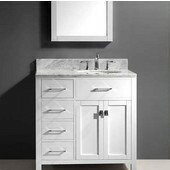 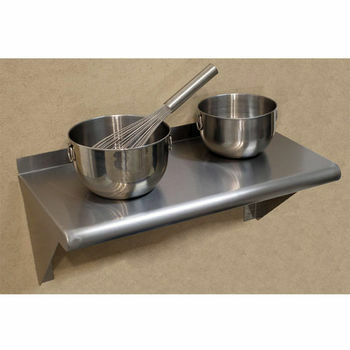 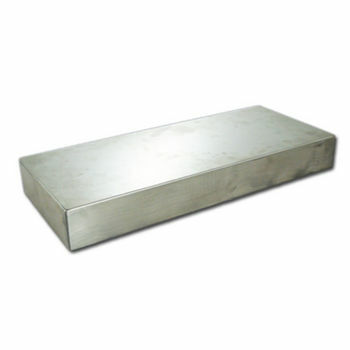 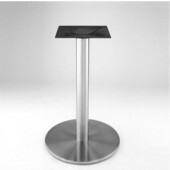 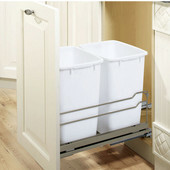 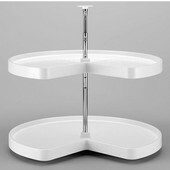 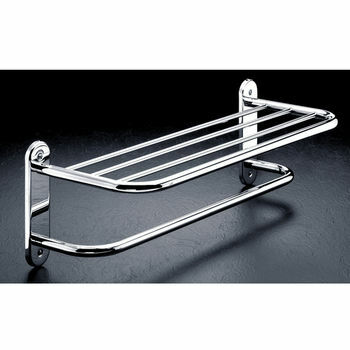 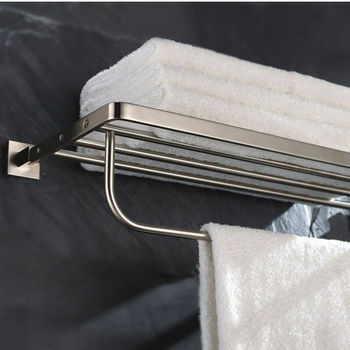 KitchenSource.com offers wall-mounted shelving from top brands like Aero, Danver, John Boos, Stainless Craft, Hewi, Whitehaus, Racor and Better Dwellings for use in kitchens, bedrooms, living rooms, home offices, garages, basements, commercial establishments, or any other place where durable storage is needed. 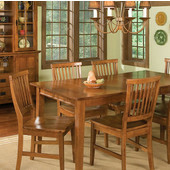 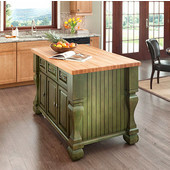 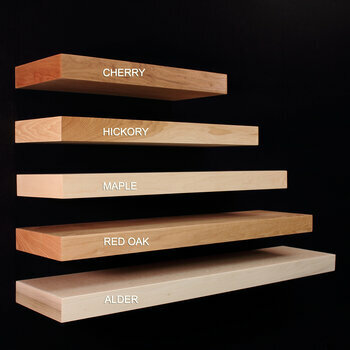 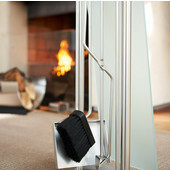 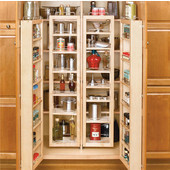 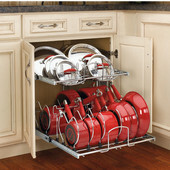 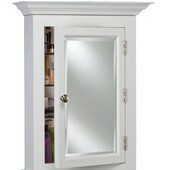 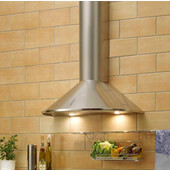 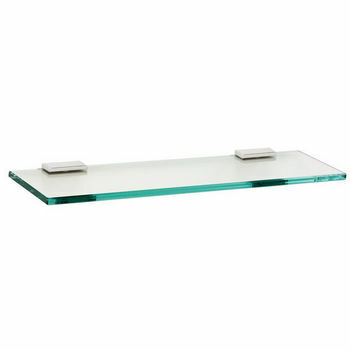 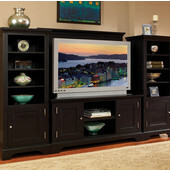 Furnish your home with wall-mounted shelves from KitchenSource.com to fulfill your storage and room design needs.